September 28, 2009 by Aaron Kr. 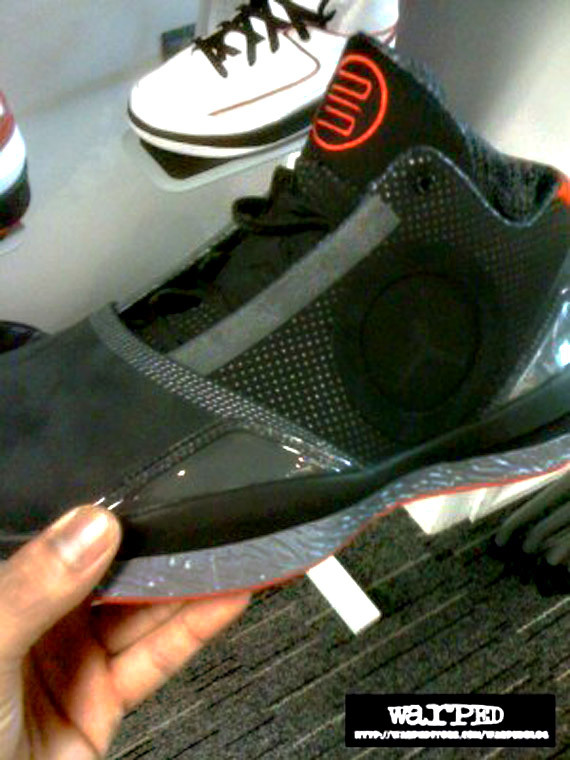 Late last month, a sample image of the Air Jordan 2010 popped up, but at the time, it was uncertain how close the pic would be to the final version. Now, we get a peek at an actual sample, and from the look of it, it seems like the original image that leaked was actually pretty legit. 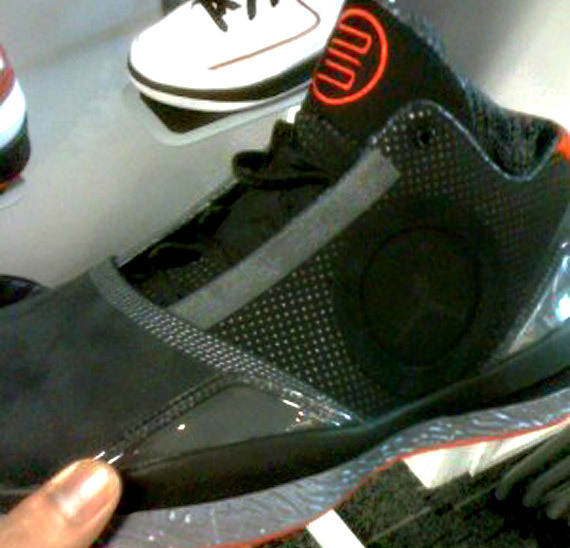 As you can see, the Air Jordan 2010 will flaunt a variety of premium-looking materials on the upper with a large Jumpman logo appearing in a circle on the side of the shoe. Other touches of note are a mesh-like section of the upper and a stylish textured midsole. many Air Jordan fans will also be elated to see the classic Black/Red/Grey color scheme making its way back to an Air Jordan shoe. There’s no word yet if this exact colorway will actually release, but stay tuned for further info and pics as they begin to leak. Via Warped.